Was It Choking Or Indigestion For Starlite Ferries? Almost since its establishment I tried to monitor the Starlite Ferries which was founded by Alfonso Cusi who has Mindoro origins. Starlite Ferries was easier to track since unlike her pair Montenegro Shipping Lines Inc. which is related in a way to them in patronship, Starlite Ferries did not expand beyond Mindoro unlike the other one which can be found practically all over the Philippines (and so it has the distinction of being a national shipping line without being a liner company). Starlite Ferries, meanwhile, remained a short-distance ferry company and in this segment they basically carry rolling cargo or in layman’s term we call that as vehicles and passengers, of course. Over the years of its existence, Starlite consistently added ferries to its fleet (although they had sales and disposals too) until they reached some 11 passenger ships in 2013, to wit, the Starlite Jupiter, Starlite Phoenix (a fastcraft), Starlite Juno (a fastcraft), Starlite Neptune, Starlite Polaris, Starlite Annapolis, Starlite Atlantic, Starlite Navigator, Starlite Ferry, Starlite Pacific and the Starlite Nautica. In their track record, aside from surplus ships acquired from Japan they were not anathema to buying the discards of other local shipping company like when the Shipshape/Safeship ferry dual ferry companies quit operations and they took over its fleet (but not the routes to Romblon). And from Cebu they got a ferry from the defunct FJP Lines which is better known as Palacio Lines. Actually, the first three ships of Starlite Ferries which are no longer existing now were from other local shipping companies. However, over the years, what I noticed with Starlite Ferries is although their fleet is already relatively big by local standards they did not get out of the confines of Mindoro where they were just serving four routes. These are the Batangas-Calapan, Batangas-Puerto Galera, Batangas-Abra de Ilog and Roxas-Caticlan routes. The longest of this route is the last named that takes four hours of sailing time while the other routes take two to two-and-a-half hours depending on the ship. With such length of sailing time it can be gleaned that actually their 11 ferries is a little bit over already than their need for the four routes. So it came as a bombshell for me and many others that they will be getting 10 new ferries from Japan through a loan with a government loan window (and the first one, the Starlite Pioneer arrived in 2015). They were too proud of the coup and acquisition, of course, and they crowed about it in the media with all the jeers about the old ferries but I was skeptical. My first question is where will they put it. It is easy to apply for new routes but the approval is another matter. They do not own MARINA (Maritime Industry Authority), the maritime regulatory agency, it is no longer the reign of the nina bonita Maria Elena Bautista who did a lot for her patron and its pet Montenegro Lines. And I was sure the players that will be affected by their planned entry will fight tooth and nail (who wouldn’t?) and the approval process for franchises goes through public hearings anyway and if there is real opposition then it will be difficult to rig it (what are lawyers for anyway?). Getting route franchises is not as easy as getting it from a grocery shelf unless it is a missionary route which no shipping company has plied before except for motor bancas. And there is no more possibility now that a program like the “Strong Republic Nautical Highway” of Gloria which created new routes (and made it appear that old routes are “new routes”). It was the time of Noynoy when their new ferries came and Al Cusi who is identified with Gloria was out of power. It is obvious that they can only absorb the new ferries well if they can dispose all their old ferries. But regarding the price it will be, “Are they buying or are they selling?”. That means forced selling will not gain them a good price and with the ferry structure in the country and their fleet size I am not even sure if there will be enough buyers especially when banks are averse to extending loans to shipping companies. Pinoys are averse to the breaking of still-good ships unless one’s name is starts with “A” and ends with “z” or maybe connected to 2GO (well, Negros Navigation’s case then was different as there was force majeure in it). And they might be forced to sell their old ships if they have honor because after all the owner Al Cusi is one of the hecklers of our old ferries and pushing for their forced retirement (and the sauce for the goose should also be the sauce for the gander but then Al Cusi was not selling old ferries until his end in shipping). I thought those in government should lead by example? By 2016, with the ascension of Digong, Al Cusi was back in power and my fears of an administrative fiat to phase out old ships intensified. Then a news item came out that they will enter the prime Ormoc route. My immediate thought was of a dogfight not only in sailing but also in the approval process of a franchise. The Ormoc route from Cebu has a lot of parallel routes competing with it (like Palompon, Baybay, Hilongos, Bato and Albuera routes) and all of them will raise a howl against the entry of an outsider especially one with good ships, naturally. I was even titillated how that will play out (it could have been a good boxing match or worse an MMA fight). But then nothing came out of that news. Well, certainly Al Cusi knows how to pick a good route, I thought, but he might have underestimated the opposition (of course, the better the route, the fiercer will be the opposition). And then another news item was published that Starlite Ferries will go into Southeast Asia routes. Well, really? That was my thought as I had doubts again. It is Indonesia that is the most archipelagic in our region but I knew the rates there are too cheap and sometimes as ROROs there is practically no fare charged in the old ships if patrons don’t want to pay (and so I remember the problem of some of our operators in our ARMM Region where collection of fares can be a problem and rates are really so low). They wanna go there with brand-new ships, I thought? Won’t there be demand for reciprocity? Oh, well, I would welcome Indonesian ferries in our waters especially if they are liners, why not? Now, what a way of upsetting the cart, I mused. But then nothing came out of that too. The logical is actually to phase out his old ferries immediately as there is no way to create a bonanza of new routes given how difficult it is to secure new routes in the country and actually the situation is the feasibility of routes are limited as it is dictated by people and goods movements and not by wish, simple geography as in nearness or MARINA inducement. They can try the Pilar-Aroroy route that was validated by three titled international experts on shipping with all the feasibility study calculations but then as known by the locals it wouldn’t last and they were proven right as the route lasted only a few months (Archipelago Philippine Ferries tried it). Plus they might have to dredge Pilar port as that is shallow for their ships (the government will pass on to them their dredging responsibilities and they will be lucky to earn a thank you). MARINA has actually a lot of routes that they were promoting like the Pasacao to Burias route, the Cataingan to Maripipi route, et cetera but shipping operators not biting as they are not fools unlike some sitting in some MARINA chairs. With Starlite Ferries obliged to pay the bank amortization they cannot simply let their ships gather barnacles in Batangas Bay. But where will he sell his old ferries? Many of the ships of Starlite Ferries are not fit to be small short-distance ferry-ROROs, the type most needed and most flexible to field (that will survive better in low-density routes) and now the problem is that is being supplanted now in many cases by the passenger-cargo LCTs and RORO Cargo LCTs which may be slow but are cheap to operate (and so many of these are arriving from China brand-new and not surplus with good terms). The reinforcements that entered San Bernardino Strait and Surigao Strait were actually LCTs (the former are operated by SulitFerry, a 2GO enterprise) and there are LCTs that are new arrivals in Tablas Strait that belong to Orange Navigation, a sister company of Besta Shipping. Cebu won’t buy it as what is mainly needed there are overnight ships and generally bigger than what Starlite Ferries have. The actual direction of ferry sales is from Cebu to Batangas and not the other way around. It is also hard to sell the Starlite ferries to Zamboanga as only one shipping line has the capability there to buy (Aleson Shipping Line) and they have enough ships already and they can afford to buy direct from Japan. It won’t be Manila as there are no more overnight ships there remaining to Mindoro and Romblon (Starlite Ferries helped sank Moreta Shipping Lines, MBRS Lines and its successor Romblon Shipping Lines). The operators to Coron and Cuyo are not that big and the Starlite ships are too big for those routes. It is really hard to dispose of 11 ferries unless Starlite gives it on a lay-away plan but then they have to pay the bank for their new acquisitions. I feared Al Cusi with his Malacanang clout and political clout (he is vice-president of the ruling party now) will resort to administrative fiat through the Department of Transportation. But that will be bloody and when the old operators feared something was afoot with the Tugade trial balloons they were ready with deep questions like if there is a study that shows old ferries are unsafe (good question) and MARINA was put on the defensive. These old operators are not patsies, they can hire good lawyers and they have congressmen as padrinos that Tugade and Cusi cannot just push around. And so came the announcement that there will be no phase-out of old ferries (which is nonsense anyway as phase-out should be based on technical evaluations and not on age). It seems that was a big blow to Starlite Ferries which by that time was already shouldering the burden and amortizing five new ferries with five more on the pipeline and their old ferries still around and unsold (their other new ferries are Starlite Reliance, Starlite Eagle, Starlite Saturn and Starlite Archer). Trying to force their old ferries in some near routes might just mean competing with their sister Montenegro Lines and their shared patron saint will look askance to that. I guess the financial burden of the new ships were getting heavier by the day for Starlite Ferries. With a surplus of ferries they were even able to send Starlite Annapolis to Mandaue just to get some new engines if what I heard was true. There is really no way to cram 15 ferries (as Starlite Atlantic was lost maneuvering in a typhoon) in just four short-distance routes. I just don’t know, should have they converted some of their new ships into overnight ferries and competed in the longer Batangas to Caticlan route? But the accommodations of the former Cebu Ferries ship of 2GO are superior to them. How about the Batangas to Roxas City route that is irregularly served by Asian Marine Transport Corporation? But instead of fighting to resolve their problem, Al Cusi took the easy way and sold out. Well, it is never easy to finance five new ferries with five more still on the way with no new routes coming. They might drown in debt and default. Or end up just helping the bank make their living (in Tagalog, “ipinaghahanapbuhay na lang ang bangko”). I wonder why Al Cusi did not just get two or three units for testing and evaluation and proceed slowly. With that they might have known with less pain and pressure that although their ferries are new it does not have a technological edge nor an advance over the old ferries unlike the new FastCats. They knew already that intermodal vehicles are mainly locked like the Dimple Star buses are locked to them and so newness of the ship will not easily sell and not even to private car owners whose main concern is what RORO is leaving first (and that is also the main concern of the passengers who do not even have a free choice if they are bus passengers). It looks to me the 10 new ROROS ordered by Starlite Ferries was a simple case of indigestion or worse a choking. It looks like more of the latter and so Al Cusi spit it out and settled for a half billion pesos as consolation for the sale of Starlite Ferries to the Udenna group, the new hotshot in shipping which also owns Trans-Asia Shipping Lines of Cebu now. That might be a good decision for Udenna as their Trans-Asia Shipping Lines lacks ferries now whereas Starlite Ferries has a surplus and so it might be a good match. Converting the ships into overnight ferries is not difficult nor would it cost much although the ships of Starlite Ferries is a little small than what Trans-Asia Shipping Lines was accustomed to (but then it is also possible to lengthen the upcoming ferries). Now I don’t really know exactly where Starlite Ferries is headed and it will not be as easy to guess that but in all likelihood a Starlite and Trans-Asia marriage might work out especially since the Udenna group has the money to smoothen out the kinks. Nice experiment but it seems the 10 new ships was too much for Starlite Ferries to chew. The Chelsea Dominance. The declaration of intent? When the “new shipping world” was being built there was Phoenix Petroleum first which was not into shipping anyway. Many thought Phoenix Petroleum would end up like the “independent” oil players then which had a few gasoline stations here and there but were never a threat to the major oil players which have foreign genes. But with the smiling face of the world-famous Manny Pacquiao as mascot, Phoenix Petroleum grew until it challenged the Big 3 which were Petron, Shell and Chevron (which was the former Caltex and Mobil). That was blasphemy for the oldtimers which saw Filoil never got anywhere before. Phoenix Petroleum got far because they changed the rule of the game. Where before local oil companies had to invest in local refineries to be granted permission to operate, Phoenix Petroleum simply had to import fuel from Singapore and it so happened in Southeast Asia oil prices are only high in the Philippines because a lot of taxes are tacked on to the price of fuel as oil is the milking cow for taxes of the government which rules a vast horde of people exempted from paying taxes because they are too poor. Along the way to being the fourth Oil Major, Phoenix Petroleum established Chelsea Shipping to handle their fuel transport needs and the company operated a fleet of tankers. But Chelsea Shipping never operated the biggest tanker fleet in the country and their fleet never exceeded ten tankers. But this year, 2017, Chelsea Shipping made a lot of sea-shaking moves in shipping. Early this year rumor leaked out already that they have already acquired majority control of Trans-Asia Shipping Lines Inc. (TASLI), a Cebu-based regional shipping company with Visayas-Mindanao routes. 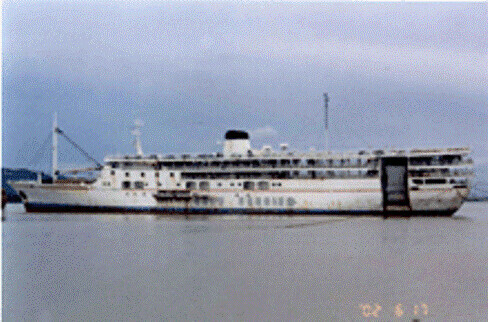 A bare few months later a boardroom fight erupted in 2GO, the only national liner shipping company left when Dennis Uy, the principal of both Phoenix Petroleum and Chelsea Shipping tried to claim what they felt was their rightful representation after buying shares and the old management group represented by Sulficio Tagud, the old top honcho resisted. But in the end Tagud and company waved the white flag after 2GO gained market value because of the fight and Dennis Uy took control of 2GO. Weeks passed and the local shipping world was rocked again by a new development when it was announced that Chelsea Shipping is acquiring Starlite Ferries Inc., a Batangas-based regional shipping company lock, stock and barrel. Starlite Ferries has routes to and from Mindoro and its fleet is being reinforced by newbuilds from Japan acquired from a loan from a government-owned bank. It seems the coffers of Phoenix Petroleum and Chelsea Shipping are overflowing to the brim. Is there another acquisition in the making? Chelsea Shipping now has foothold to the top three passenger shipping hubs in the country which are Cebu, Manila and Batangas. In tankers they are also strong in another hub which is Davao which has the cheapest fuel in the whole country courtesy of Phoenix Petroleum and which piqued Ramon Ang enough that he chopped the fuel prices of Petron. And so Davao fares remained among the highest in the country. Does it make sense? Nope. Maybe it is the moves of Chelsea and Dennis Uy which only makes sense. I do not know if a second “Great Merger” will happen in Philippine shipping after the first “Great Merger” of 1996 which created William, Gothong and Aboitiz or WG&A, the predecessor company of 2GO. That first one ended in disaster and it only resulted in the death of two great historical shipping companies. Will history repeat itself? I have my doubts. This time around there is only one top honcho which is Dennis Uy unlike before there was a big merged company with three heads pursuing some kind of a mirage. Actually it could be great for Philippine shipping as Dennis Uy and his patron are both loaded and might have the money to make moves in shipping without going to the banks. Who knows if the moribund shipping industry is revived with their coming? Now if only Manny V. Pangilinan (MVP) bought out Negros Navigation Company (NENACO) outright some 15 years ago instead of being just a “white knight”. NENACO is one of the merged companies in 2GO. We really need investors with deep pockets in shipping. That is what might turn things around and not due to some government blah-blah. Is there a renaissance of Philippine shipping in the horizon? The Camotes Sea and Bohol Strait are two of the busiest shipping lanes in the country. These are the seas connecting Leyte and Bohol to the trade and commercial center of the central part of the country which is Cebu. Ships from Cebu going to Samar, Masbate, Mindanao and even Luzon have to pass through these seas also along with the foreign ships calling in Cebu. Over-all, the related Camotes Sea and Bohol Strait as sea connections are only rivaled by Manila Bay and the Verde Island Passage in the density of ships sailing and the three are the busiest shipping corridors in the country. There are many shipping companies operating here, both ferry and cargo. However, in terms of absolute numbers, this is also the area with the most number of failed shipping companies in the last 15 or 20 years when a Ph.D. from Philippine Institute of Development Studies (PIDS) said there is no competition or there is no effective competition or there is just mild competition in most routes here. Of course, she was definitely wrong if we sift through the evidence and among the most persuasive of evidences will be the number of shipping companies that failed. Why would they fail if there is no or only mild or no significant competition? Did they commit suicide? Of course not! The greatest failure in this area is, of course, the big Cebu Ferries Corporation (CFC), the subsidiary of the giant merged shipping company WG&A Philippines which was probably the biggest regional shipping company ever. Their old ships were gone and dead before their time is up because those were sent to the hangmen of ships, the shipbreakers. Their newer ferries, the MV Cebu Ferry 1, the MV Cebu Ferry 2 and the MV Cebu Ferry 3 (the Cebu Ferry series) were transferred to the successor company 2GO Travel and those ferries were sent to Batangas and they are jokingly called the “Batangas Ferries” because they were no longer in Cebu. Once upon a time, this company ruled the roost here when they had so many ferries, many of which were hand-me-down liners or equal to liners in caliber. These hand-me-downs were actually much better and bigger than the overnight ferries of their competition. Their only drawback were their big and generally thirsty engines which was needed for speed requirement of the liner routes. 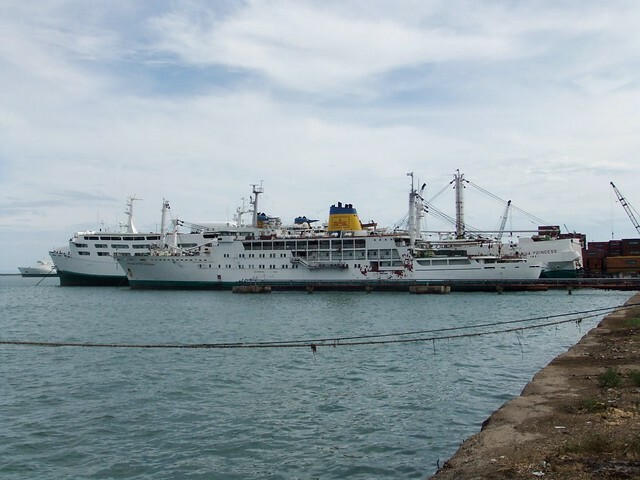 Before the Cebu Ferries series came, some ten ships that passed to the Cebu Ferries Corporation fleet were sent to the breakers and most of them were still sailing good when they were sent to the cutters. Probably the next biggest casualty in this area is the Palacio Lines (a.k.a. FJP Lines) which had its origins in Western Samar. In their heyday they had routes from Cebu to Bantayan island, Masbate, Northern Samar, Western Samar, Leyte, Bohol, Siquijor, Negros Oriental and Misamis Occidental. They lost some routes because of paradigm changes like in Bantayan island when they were torpedoed by the short-distance ferry-ROROs from Hagnaya (which is a much shorter route than their route from Cebu City). Palacio Lines was slow in betting on ROROs and they did not immediately see that the paradigm will shift to the intermodal system (as they still acquired cruisers even in the early 1990s). Later, there were complaints about their ships which progressively got older and less reliable and soon competition was outstripping them. And finally the pressure from these (like Cokaliong Shipping Lines and Lite Ferries) ultimately did them in. They stopped sailing and soon they sold their remaining ferries one by one. This included their MV Bantayan (sold to Orlines Sea-Land Transport), MV Calbayog (sold to Starlite Ferries) and MV Don Martin Sr. 6 (supposedly sold to a Lucena concern). Meanwhile, their biggest ship, the MV Don Martin Sr. 8 was sent to the breakers. And the cruiser ships of the company were even laid up earlier. Their cargo ship, the MV Don Martin which was the first vessel of the company was also sold and this ended up with Quincela Shipping in Manila. The Rose Shipping Company which is also known as Vicente Atilano (after the owner) is probably the next most prominent loser in the shipping wars in this place. Originally they were a Zamboanga del Sur shipping company from the old town of Margosatubig. Leaving that area, they tried their luck here and they fully engaged in the wars in the Leyte routes especially against Aboitiz Shipping Corporation. One of their weakness, however, is their total reliance on cruiser ferries. Being obsolete, this type of ship progressively cannot compete with the ROROs in revenues (but not in comfort and service). Rolling cargo revenue is actually bigger and more significant than passenger revenues. They then stopped sailing and most of their ships had no takers even if for sale because almost nobody looks around for cruisers anymore. Their only notable ship sales were the MV April Rose which went to Atienza Shipping Lines in Manila and the MV Yellow Rose which went to Medallion Transport. Their MV Cherry Rose and MV Pink Rose were broken up while their MV White Rose and MV Tiffany Rose are missing and are presumed to be broken up. Their MV Pink Rose and MV Red Rose can’t also be found now and in all likelihood have been scrapped too by now. Maypalad Shipping which was earlier known as K&T Shipping is one of the older shipping companies in the area. They have disparate routes from as far as Lanao del Norte, Leyte, Southern Leyte and Samar. They seemed to have never really recovered from the sinking of their MV Kalibo Star which was their newest ship then and progressively their ships got older. They were also victims of routes that bit by bit weakened because of competition from other routes (like the Liloan route losing to the Bato and Hilongos routes and the Tacloban route losing to the Ormoc and Baybay routes). In due time, they had no good routes left and their ships were also unable to compete in the bigger routes. Among these bigger failures, it is Maypalad Shipping which has a fleet of cargo ships but upon being defunct all of these got anchored too in Mactan Channel. Their MV Cebu Star and MV Guiuan were broken up now while their MV Cabalian Star, MV Leyte Star and MV Tacloban Star could all also be gone now. 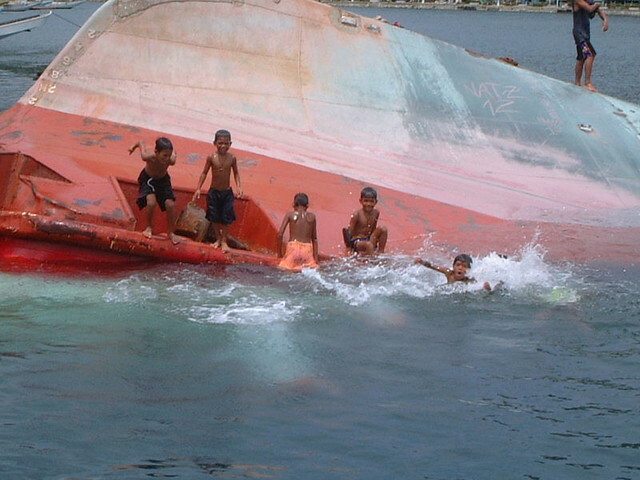 Their MV Samar Star is the only sure extant ship now along with one freighter which may be too far gone now. Three other cargo ships of their wer also broken or sold to breakers and their LCT is also missing. Roly Shipping and Godspeed Shipping and Ernesto Alvarado are actually legal-fiction entities of the other. They had routes before to Leyte and Bohol. But being a cruiser ferry company, they slow lost to the ROROs since this type of ship earns more revenues because the rolling cargo revenue is such that they can actually afford not to carry passengers as shown by the Cargo RORO LCTs. Some of their earlier ships were gone a long time ago (the MV Flo Succour, the MV Reyjumar-A, the MV Isabel 2 and the MV Tubigon Ferry). The tried to fight back with fast cruisers, the MV Roly 2, the MV Mega Asiana and the MV Tagbilaran Ferry but ultimately they lost too and quit a few years ago when the banks seized their ships and were laid up. The pressure of tightening competition was simply too great and the revenues were not enough to sustain operations. There were also allegations of internal rot. Jadestar Shipping is another cruiser ferry company which just had a single route, the Cebu-Tubigon route. Then the ROROs of Lite Shipping came to Tubigon, four schedules in all daily. With a full load of rolling cargo these ships will not need any passengers to earn. And then a new paradigm came, the cheap but not-so-speedy but fastcrafts of the legal-fiction entities Sea Highway Carrier and SITI Inter-island and Cargo Services which were more popularly known as Star Crafts. Squeezed by two better competitors, Jadestar Shipping found they could not sustain operations and quit a few years ago (in connection with this, Island Shipping which also operated cruiser ships in the Cebu-Tubigon route also quit showing cruisers cannot beat ROROs). 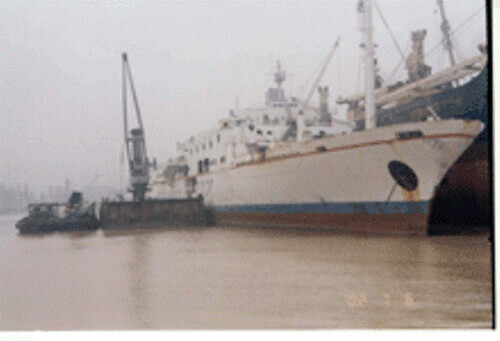 Some of the ships Jadestar Shipping were sold to other shipping companies like the MV Jadestar Tres which went to Wellington Lim and became a cargo ship and the MV Jadestar Seis which went to the Ibnerizam Shipping of Zamboanga). Two of their ships was broken up earlier and this were the MV Jadestar Nueve and MV Jadestar Doce. Head-on, the cruisers can only compete now in Zamboanga (but then that is another situation). Former fleet: Jadestar, Jadestar Dos (cargo), Jadestar Tres, Jadestar Seis, Jadestar Nueve, Jadestar Doce. Kinswell Shipping made a big splash when they started in 2002 because what they introduced were China-built vessels that were not of the usual design or hull material. Some of these are actually very small and not bigger than boats and were a little queer. But their Medium Speed Crafts (MSCs) could have been winners had they been handled well. One sold one, the MV Gloria G-1 is sailing well for Gabisan Shipping and the comparable Star Crafts were also successful. They tried many routes and the name of the ships reflected where they were sailing. The smallest ones were the first to quit sailing as it found no great patronage because they simply bobbed too much in unsettled seas. Now they are jut anchored near the Tayud shipyards. Being fiberglass they will not sink or rust and so up to this day those remain as floating markers outside Cansaga Bay. All their three bigger ships, the MSCs were sold, the MV Kinswell, MV Kinswell II and lastly, the MV Kinswell Cebu. They have no more sailing ships left. Former fleet: Kinswell, Kinswell II, Kinswell Cebu (2), Kins Bantayan, Kins Ormoc, Kins Danao, Cadiznon 3, Kins Camotes. San Juan Shipping of Leyte is another hard-luck company. They were doing relatively well with their first two ferries, the MV Sr. San Jose, a beautiful cruiser and the MV John Carrier-1, a small ferry even though competition to the Leyte route was already stiffening. Now, I wonder how they were sweet-talked into purchasing the MV Dona Cristina of the Cebu Ferries Corporation. This overnight ferry was a former regional ship of the Carlos A. Gothong Lines, Inc. (CAGLI) whose old ships invariably has a history of engine troubles (except for MV Our Lady of Mt. Carmel). However, it was already WG&A, the merged shipping company which sold the ship to them. Maybe they thought that since the name WG&A was glistening then, then the ship must be good. This ship which became the MV San Juan Ferry in their fleet and became the flagship and biggest ship. San Juan Shipping spent money to refurbish this ship. However, the ship brought misery to them when a explosion hit the ship and caught fire while on trials off Liloan, Cebu. The ship then sank. San Juan Shipping never recovered from that debacle especially since competition then to Leyte was very fierce. They then sold out to Lite Ferries lock, stock and barrel and it was there that Lite Ferries gained a foothold to Leyte. M.Y. Lines is unique in a sense that when wooden motor boats were already on their way out they sort of made a revival out of it. They had two big, wooden motor boats in a fleet of three but one, the beautiful MV M.Y. 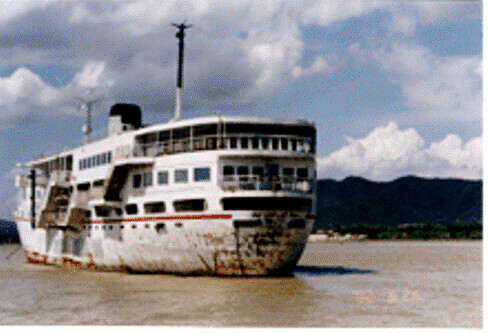 Katrina was wrecked in a typhoon and scrapped. They bounced from one route to another and was never able to fully settle especially since they were using non-ROROs when ROROs had already come into full force and was proving its superiority. They tried to find niche routes in northwestern Leyte but was never able to really discover one. One thing that torpedoed them there was the opening of the Bogo-Palompon route and the rolling of Ceres buses from Cebu to that corner of Leyte. Later, their ferries were seized by the banks and laid up. There were other ships built in 1967 that also came to the Philippines. Their number is about the same as those still existing until now. If they are gone now it is not because they sank or was lost (except for a few). Most of the reasons why they are gone circles around the situation that they were no longer wanted and there were no other takers. Sometimes that is just the simple reason why ships including ferries are retired, disposed off and broken up. All of these ferries were built abroad and there were no local-builds (it looks like shipping companies hold on longer to the ships that they built). Some of these were gone even before the turn of the millennium but then they still they lasted more than 30 years of service. So, here then are the passenger ships built in 1967 that came to our country but are no longer around. 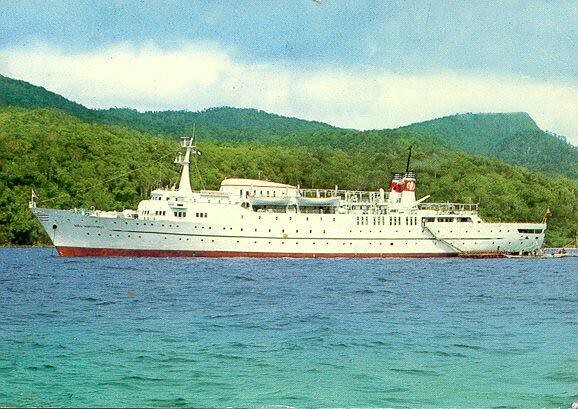 Maybe we should start with the grandest of them all, the cruise ship Dona Montserrat of Negros Navigation Company which came in late 1974 but unfortunately she did not last long. She was a fine ship, no doubt, but it seems she was way ahead of her time as most Filipinos don’t have enough money yet for cruises and if they have they would rather go on trips abroad ait is more sosyal. But then Dona Montserrat had voyages even to Hongkong too. Negros Navigation Company bought this cruise ship for $3.4M, a big sum in those days. The Dona Montserrat was originally the Cabo Izarra and built by SECN (Navantia Carenas) in Matagorda, Spain for Ybarra Line. She was a cruiser ship with three passenger decks and with all the amenities of a cruise ship of her size during her period. These included 110 staterooms for 273 passengers, dining salon with international and Filipino cuisine, main lounge, penthouse, library, game room, swimming pool and bars. The ship was fully air-conditioned, fully carpeted and she had a well-equipped galley. Music (as in a band) and entertainment nightly was available in Dona Montserrat. The primary route of this cruise ship was Manila-Corregidor-Iloilo-Zamboanga-Davao aside from cruises to special destinations like Sicogon island and Hongkong. This cruise ship measured 104.9 meters Length by 15.8 meters Breadth by 10.3 meters Depth, a Depth which means she is a stable ship. Her Gross Register Tonnage was 4,339 tons and her Net Register Tonnage was 1,675 tons. She was powered by two B&W engines developing 7,800 horsepower giving her a top sustained speed of 19.5 knots. So during her time she was the passenger ship with the highest power sailing in the country and in terms of size she was about equal to the bigger fast cruiser liners that arrived in the country in the latter half of the 1970’s. In less than 5 years, however, Dona Montserrat quit sailing and she was sold to China where she was used a cruise ship. The next ship in this list was also a cruise ship but she came later, in 1999, but was more successful and was also built in Spain. She was the Coco Explorer No.1 of Coco Explorer Inc. She was more successful maybe because she was able to attract foreign tourists who wanted to explore our hidden coves and islands, do diving tours and being smaller and of shallower draft she was more fit in this role. 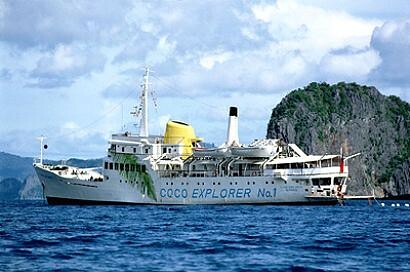 The Coco Explorer No.1 was the former Sta. Maria de la Caridad and she was built by Union Levante in Valencia, Spain. This cruise ship measures only 66.9 meters by 11.0 meters by 5.1 meters and her Gross Tonnage is only 1,199 and her Net Tonnage is only 562. In size she is just like many of the Cebu to Leyte overnight ferries but she is not as tall. This ship was powered by MWM engines of 2,000 horsepower total and her design speed was 15 knots. The Coco Explorer No.1 was a cruiser ship. In 2005, the Coco Explorer No.1 was sold to China for breaking up. Maybe age caught up with her and there was already competition by smaller tour-dive ships in the waters she used to go which was mainly in the direction of Palawan. Moreover, the places which were her haunts were already accessible by other means and there were already facilities like resorts and hotels. The next ship on this list was a beautiful ship and once was a flagship of Negros Navigation Company which was the Don Julio. This ferry was built brand-new for Nenaco by Maizuru Heavy Industries in Maizuru Japan. She measured 95.7 meters by 13.9 meters by 7.5 meters with a Gross Tonnage of 2,381 and a Net Tonnage of 1,111. Her later passenger capacity was 994 with accommodations from Suite to Economy classes. The Don Julio was a cruiser ship where cargo was handled by a boom in the bow which meant slow cargo handling. Cruiser ships also have less cargo capacity compared to RORO ferries. And maybe these were the reasons why she fell into disfavor later in the company. The ship has a single Hitachi engine of 4,400 horsepower and her sustained top speed was 17.5 knots qualifying her as a fast cruiser liner of her era. Her main routes were to Iloilo and Bacolod but when she got old and bigger ships came along she was shunted to minor routes like Roxas City. Later, when she can no longer be accommodated in the fleet of Negros Navigation she was transferred to Jensen Shipping and among the routes of the company was Cebu to Iloilo. Later, this ship disappeared without trace and not because she sank. It was simply that databases lost track of her. It was sad because the person after she was named, Congressman Julio Ledesma IV was interested in buying her for posterity. The Don Julio was a sister ship of the Dona Florentina and the Don Juan, both of Negros Navigation Company and the Cebu City of William Lines, all of which became flagships of their fleets one time or another. Now, that is a distinguised company. The next ship on this list should be the Iligan City of William Lines which later became the Sampaguita Ferry 3 of Sampaguita Shipping Corporation of Zamboanga City. Originally, this ship was Amami Maru of Amami Kaiun of Japan. She was built by Mitsubishi Heavy Industries in Shimoneseki, Japan and her external measurements were 83.1 meters by 12.0 meters by 4.5 meters. Her Gross Tonnage was 1,512 and her Net Tonnage was 562 and her passenger capacity was 635 persons. She was equipped with a single Mitsubishi engine of 3,800 horsepower which gave her a sustained top speed of 17 knots. This ship was a cruiser ship and thus she had the same disadvantages of the Don Julio when the RORO ferries came. She was mainly fielded by William Lines in the Cebu-Iligan route and she stayed there until the merger which created WG&A in 1996. She was then transferred to the WG&A subsidiary Cebu Ferries Corporation where she was tried in the Cebu-Roxas City route and other routes. She was not successful and she was one of the ships offered for sale by Cebu Ferries Corporation immediately. By then she was no longer a satisfactory ship as her passenger accommodations were already tiny compared to the current standards of the times then. In 1997, Iligan City was purchased by Sampaguita Shipping Corporation of Zamboanga City where unmodified she became the Sampaguita Ferry 3. During that time Sampaguita Shipping was building up its fleet to have modern and comfortable overnight ferries for its long routes using bank loans. They also used the abbreviation “SF”, a takeoff from the SF SuperFerry as in they are the SuperFerry of Zamboanga. Well, they even built a modern terminal a la SuperFerry near the entrance of Zamboanga port. However, Sampaguita Shipping was hit by bad timing because soon the highways out of Zamboanga City became paved and they eventually lost to the buses. Competition also became very tight in Zamboanga which was a product of the deregulation policies and incentives laid out by the Ramos Administration. Modern and new High Speed Crafts (HSCs) even came to Zamboanga City like Weesam Express and the fastcrafts of A. Sakaluran. Under the crushing load of its debts, Sampaguita Shipping defaulted, collapsed and ceased operations. The last heard of Sampaguita Ferry 3 was she was sold to the breakers. We will then come to three overnight ferries that first came to Carlos A. Gothong Lines Incorporated (CAGLI) locally. The first was the Dona Lili which was very well-known in the Cebu-Nasipit route battling the big Nasipit Princess of Sulpicio Lines. This ship was built in Japan as the Seiran Maru by Taguma Shipbuilding & Engineering Corporation in their Innoshima yard. And in 1980 this ferry came to CAGLI as one of the earliest RORO ships of the company and in the archipelago. The Dona Lili had the external measurements 69.0 meters by 12.0 meters by 4.5 meters. Her Gross Register Tonnage in Japan was 856 tons and in conversion here to Gross Tonnage the figure was left unchanged. The ship’s Net Tonnage was 448 and her passenger capacity was 732 persons. The Dona Lili was powered by two Daihatsu marine engines with a total of 2,600 horsepower and her sustained top speed when still new was 15.5 knots. In size, she is just like the Cebu to Leyte overnight ferries of today. When the merger that resulted in WG&A came she was transferred to its subsidiary Cebu Ferries Corporation and in this company she was assigned the Cebu-Tacloban route with also a route to Camiguin. But when Cebu Ferries Corporation dropped its Tacloban route because it was losing to the shorter Ormoc route, it seems Dona Lili did not sail again. By that time Cebu Ferries had an excess of ships because they already dropped a third or more of its former routes and so the older and smaller ferries especially the cruisers had nowhere to go especially since WG&A can drop former liners to Cebu Ferries. With that situation, Dona Lili dropped from sight never to be seen again and not because she sank. The next ferry that came to Carlos A. Gothong Lines Inc. was their second Don Benjamin (they had an earlier Don Benjamin which was a former “FS” ship) which arrived in 1982. This is a ship that served their Iligan and Ozamis overnight routes for them from Cebu but this ship only lasted until just before the mid-1990’s because of engine issues. The second Don Benjamin was the former Shin Kanaya Maru in Japan and she was built by the Shimoda Dockyard in Shimoda, Japan. This ship measured 61.0 meters by 13.7 meters by 2.9 meters and in Japan her Gross Register Tonnage was 877 tons. Locally her Gross Tonnage was just 685 and her Net Tonnage was just 268 both of which looks suspiciously low. The second Don Benjamin was a smaller ship than Dona Lili. The Don Benjamin was powered by a single Nippon Hatsudoki engine, a generic Japan engine of 2,550 horsepower. That was good for a sustained top speed of 15 knots. However, her engine seems to be the reason for her undoing as Hatsudoki engines are not long lasting and even early in the 1990’s she was already plagued by unreliability. When the new ship Our Lady of Naju came for Carlos A. Gothong Lines in 1994, she was sent to a Navotas breaker. During those times, re-engining then was not yet common. She was a rare ferry that did not last 30 years in service. The third ferry from Carlos A. Gothong Lines Inc. was the Dona Casandra, a ship that came also in 1982. She was built as the Mishima in Japan by Hashihama Zosen in Hashihama yard. This ship had the measurements 53.8 meters by 11.0 meters by 3.7 meters, dimensions which were less than the war-surplus “FS” ships. Her Japan Gross Register Tonnage was 487 tons. What I find suspicious in her specifications was her Deadweight Tonnage (DWT) which was only 180 tons in Japan. Was she meant to just carry a few sedans and light trucks? Here, after addition of more metal and passenger accommodations her Gross Tonnage rose to 682 but I was not able to obtain her Net Tonnage. The declared passenger capacity of the ferry was 650 persons. The Dona Casandra was powered by two Daihatsu marine engines with a total of 2,000 horsepower and her design speed was 14 knots. The Dona Casandra did not last long in service because once in a voyage from Butuan to Cebu she foundered on November 21, 1983 in a rough Mindanao Sea experiencing the disturbance of a distant typhoon. She was then carrying lumber aside from passengers. The sinking caused the loss of lives of the bulk of the passengers and crew but the exact number was never established as the ship sank without trace. Was her load to much for her load capacity in DWT and in a rough sea and considering she has added metal to her structure? The Lorenzo Shipping Corporation also had ships in this list which are about the same size as the mentioned ships of Gothong Lines (once from 1972 to 1979 the two had combined operations). Lorenzo Shipping once was also in passenger shipping and it was even in liner operations albeit not in high profile but later they quit passenger shipping to become an all-cargo operation and maybe that is why many people can’t connect their name to passenger shipping. The first should be the Dona Okai which was the biggest of the three. This ship was also known as Dona Oka 1 and Don Okai in Lorenzo Shipping. What names! The Dona Okai was paired with another ship of the same size in the fleet of Lorenzo Shipping to do their unique Manila-Dipolog-Zamboanga-Pagadian-Dadiangas route which took nearly two weeks to compete and that is why two ships have to be paired in that route so a weekly schedule can be maintained. The Dona Okai was originally the Ryoho Maru of the Kashima Kisen K.K. shipping company in Japan. She actually had three owners before coming to the Philippines in 1979. When she was sold to Ebisu Kisen K.K. she was converted into a chemical tanker. When she was sold to Daiei Kaiun K.K. In 1973 she was converted back into cargo ship. The Dona Okai was a cruiser ship built by the Asakawa Shipbuilding Company in Imabari, Japan. She measured 74.2 meters by 10.5 meters by 5.4 meters. In Japan her Gross Register Tonnage was 1,093 but this rose to 1,173 in the country with a Net Register Tonnage of 780. The ship was equipped with a single Makita engine of 1,500 horsepower which gave her a top speed of 12.5 knots. In 1992, Lorenzo Shipping sold her into another shipping company. She is now deleted from maritime databases which happens when ten years has passed and there is no further news about the ship. She might be a broken-up ship by now. The second ship of Lorenzo Shipping was the Dona Lilian which had the external dimensions of 63.7 meters by 9.6 meters by 4.8 meters and in Japan her Gross Register Tonnage was 753 tons. This ferry was a cruiser ship which arrived in the country in 1978. The Dona Lilian was the former Seiun Maru No.5 of Tsurumi Kisen K.K. of Japan. She was built by Imabari Zosen in Imabari, Japan. In the Philippines her Gross Register Tonnage remained unchanged and her Net Register Tonnage was 487. She was powered by a single Makita engine of 1,300 horsepower and her sustained top speed was just 11 knots, just about the same as freighters of her size as she is a little low on power. This Lorenzo ferry held for the company the Iloilo and Pulupandan combined route from Manila and one of the last ferries to sail to Pulupandan as this port can only dock shallow draft vessels then (the reason why when ferries grew in size the route was abandoned). When the company eventually withdrew from the Pulupandan route because it can’t compete with the Negros Navigation ships using Banago port in Bacolod, she found herself on the Davao route. However, on a voyage with two distant typhoons affecting local weather conditions, she foundered in heavy seas off Tandag, Surigao del Sur on December 6, 1982. Lorenzo Shipping had to other ships in this list, the Don Francisco. This ship was actually the second Don Francisco as there had been an earlier ship by that name in the Lorenzo fleet which was a former “FS” ship converted into passenger-cargo use. When the earlier Don Francisco was lost in the earlier part of the year 1978, this ship came to replace the lost ship in the same year 1978. The second Don Francisco was first known in Japan as the Zensho Maru of the Marujutoko Unyusoko K.K. shipping company. She was built by the Higaki Shipbuilding Company in Imabari, Japan. Her external dimensions were 53.4 meters by 9.3 meters and her Japan Gross Register Tonnage was 496 and she has a speed of 10.5 knots. In terms of external dimensions, cubic volume and speed, this ship is very much alike the once-dominant former “FS” ships converted into ferry use here. This ship is also a cruiser ship. The ship shouldered on in various capacity under Lorenzo Shipping until when the company was already taking a step back already from passenger ship (the company later on became an all-cargo company utilizing container ships until she was sold to the Magsaysay Group which continued to use the same name). This ship then disappeared from maritime databases but it is assumed that she did not sink and most likely she had just been quietly scrapped. Another ship built in 1967 that is no longer around was the former Nadayoshi Maru No.2, a fishing vessel in Japan by Kanasashi Shipbuilding Company in Shizuoka, Japan. In 1974 this ship came into the Philippines and in her first rebuild she was converted into the passenger-cargo ship Gingoog City in 1987 and the name is already suggestive of her route. In 1991, this ship was sold to the new shipping company Cokaliong Shipping Lines Incorporated (CSLI) which was already expanding their fleet and she became the Filipinas Siargao. This ship measures 49.5 meters by 7.8 meters by 3.6 meters with a Gross Tonnage of 327. Her Net Tonnage of 181 and the passenger capacity is 292 person in bunks as this was an overnight ferry-cruiser. The ship is powered by a single Hanshin engine of 900 horsepower. 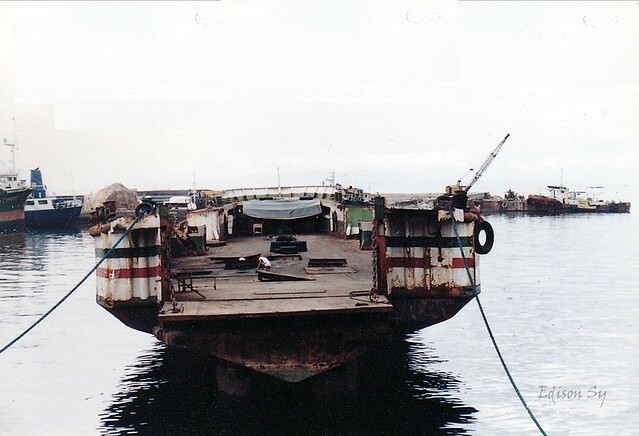 In 1997 the Filipinas Siargao was sold to Ting Guan in Mandaue as scrap because Cokaliong Shipping Lines is already converting to RORO ships. She lasted exactly 30 years. Another ferry that was built in 1967 that was sold to local breakers under the same conditions in almost the same period but a little later was the beautiful cruiser Sr. San Jose which was even a little bigger than the Filipinas Siargao. 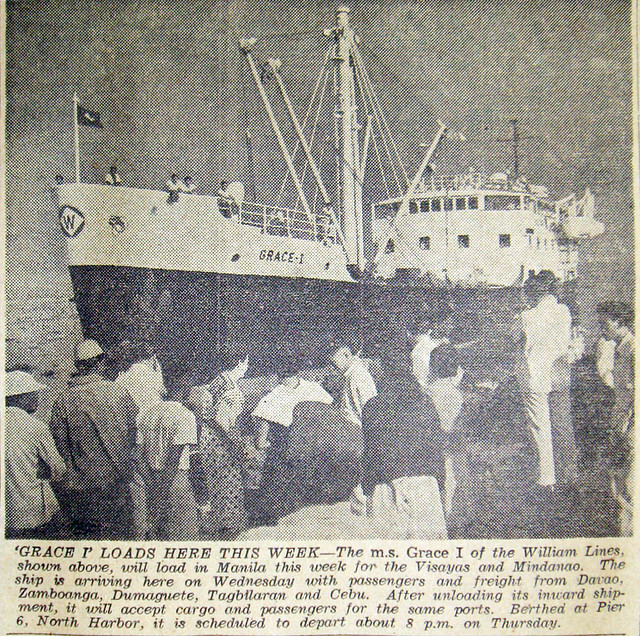 The ship was a Cebu to Leyte ferry of the San Juan Shipping of Leyte. The ship was originally the Tanshu Maru of Kansai Kisen K.K. of Japan. She was built by Hashihama Zosen in Hashihama, Japan. She had three owners in Japan the last of which was the Fukahi Kaiun. The ship had the measurements 54.0 meters by 8.6 meters by 2.3 meters. Her Gross Tonnage was 498 and her Net Tonnage was 185 with a passenger capacity of 558 persons. The Sr. San Jose was powered by a single Akasaka engine of 1,470 horsepower giving her a sustained top speed of 15 knots when new. 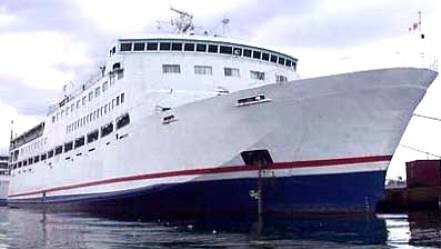 The ship together with her company was sold to Lite Ferries in the aftermath of the explosion, burning and sinking of the company’s flagship San Juan Ferry in 2000. When she was sold, Lite Ferries was already fully into ROROs and no further use was needed of her especially since her engines were no longer that good. She was then sold to the breakers. The next ship on this list is a lost ship but not violently. She was the Princess Camille of the Shipsafe Shipping. The ship had the overnight route Batangas-Romblon but on a voyage on March 21, 2003 she developed a leak in the hull in Romblon port the next day which resulted in her capsizing in the port but her passengers were safe. The Princess Camille was the former New Olympia of the Nanbi Kaiun K.K. She was built by the renowned Kanda Shipbuilding Company in Kure, Japan. The measurements of the ship was 39.2 meters by 11.2 meters by 3.4 meters which means she was not a big ferry, just the size of a basic, short-distance ferry-RORO (she is a RORO). Her Gross Tonnage was just 350 and her Net Tonnage was 197. The Princess Camille was equipped with a single Daihatsu engine of 900 horsepower and her top speed was 12 knots. The Princess Camille came to the Philippines when she was already 30 years of age. She reached 36 years of sailing. The ship was no longer salvaged and her company soon collapsed especially since there was very tight competition then in Southern Tagalog shipping. There are 13 ferries in this list. Three of the 13 were lost at sea . One thing I can say is if ferries are no longer relevant then they quit sailing and the shipping owners does not need the government to tell them that. And another thing is if the engine is no longer good and won’t be re-engined anymore then they also send the ships to the breakers and no government order is also needed for that because on their own shipping owners has enough common sense aside from financial sense. I now leave it to the readers to weigh the careers of these ferries built in 1967 that are no longer around.